I look back over 2013, and I am somewhat in awe. I can honestly say it was the best year of my life. I am speechless about the opportunities that have come my way and the different places I have gotten to visit/events I have gotten to be a part of. The different friends I get to hang out with everywhere I go is so awesome, as everywhere I travel I either make new friends or get to reconnect with old friends. 2013 was definitely the most diverse year I have had when it comes to my career and new doors opening. Traveling, new adventures, new challenges, new learning, new friends, new opportunities — all in 2013. For a complete portfolio of my favorite pictures from 2013, click here. 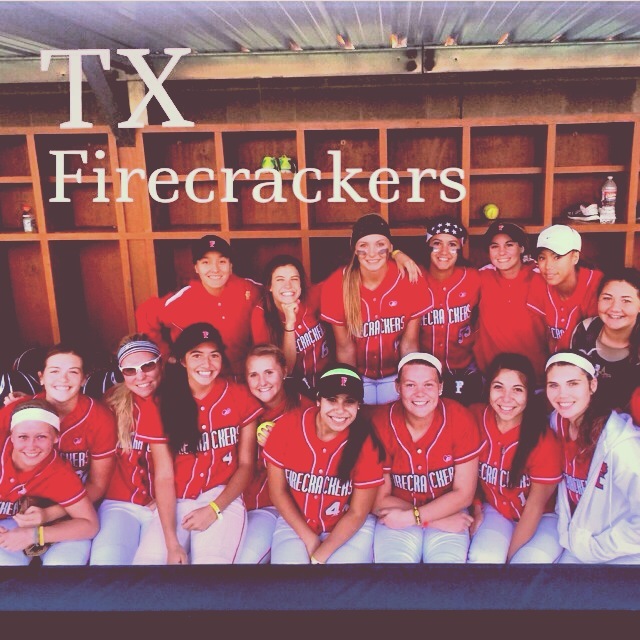 The year started off in the southern hemisphere, as I brought in the new year in Sydney, Australia with the Texas Firecrackers Gold. New Years Eve we went out into Darling Harbor on a cruise for the evening and we were out on the water near the Sydney Opera House and Sydney Harbor Bridge as we watched one of the most spectacular firework displays in the entire world. 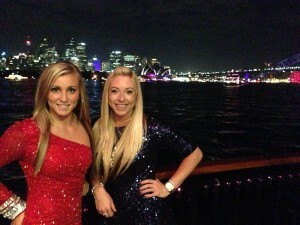 Sydney really does it up big because they are in the first time zone in the world to get to bring in the New Year. This was a trip that we all will remember for the rest of our lives. Australia was in incredible experience, as our team played several games against Australian teams, celebrated Christmas together in a foreign country and then brought in the New Year together. So many memories…. I got back and took on my first ever speaking engagements. One in Ohio, one in Houston and one in Waco at Baylor’s Winter Softball Camp. What a great learning experience and a way to work through some nerves. I got to meet a lot of high school coaches from Texas and Ohio at these engagements. Speaking in front of 100’s of people for the first time is a great way to quickly get over some nerves! February-June is my favorite time of year because it’s the college softball season. My job during this time is a college softball analyst, which means that I analyze softball and talk about it on TV. Now, some people get super excited about college football and college basketball seasons (and trust me, I love those sports too), but nothing gets me excited like the college softball season. 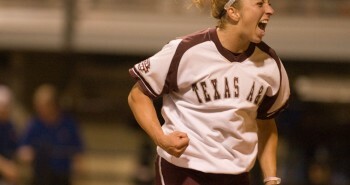 College softball is home. I LOVE staying involved in the game by getting to travel and see so many different teams play from all different conferences. Getting to talk about it on TV is the added bonus. 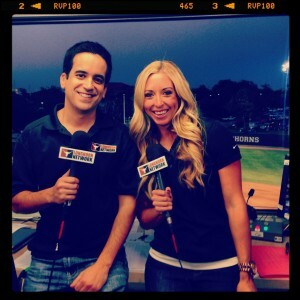 This past season I did over 25+ games on Longhorn Network (yes, I am an Aggie working for Longhorn Network). The cool part about the 2013 softball season was that Texas made it to the Women’s College World Series. They had such a strong team led by their senior class, so they were a lot of fun to watch and follow all the way to Oklahoma City. I also did about 15 games on the ESPN Networks, including ESPN 3. In addition to ESPNs family of networks, I also did my first game on Fox Sports Southwest and first game on CBS Sports Net. In all I got to do around 40-45 games in the 2013 softball season. I feel so very lucky to get these opportunities, as I know that there are a lot of people out there who would love to get a chance to do this amazingly fun job! 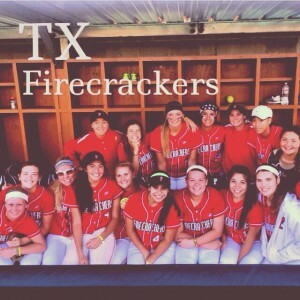 After the college softball season, our summer season with the Texas Firecrackers Gold gets pretty busy and serious. In these months we are playing in very competitive tournaments against some of the best teams in the nation. We play in various exposure tournaments, trying to get our girls recruited to play in college and also try to qualify for different national tournaments that take place in end of July/beginning of August. We have girls committed or signed to Texas, Nebraska, UTSA, University of Houston, Arkansas, Oregon, Lamar University and SFA. I had so much fun traveling to Minnesota and getting to cover the RBI Softball Championship game. 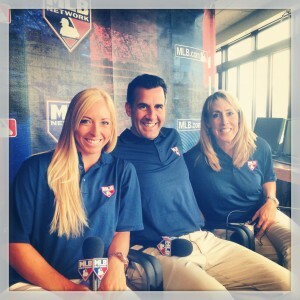 I really did not know what to expect when I got asked to commentate this game for MLB Network. I was pleasantly surprised with the talent, passion and overall competitiveness of the teams I saw play in the tournament the weekend I was there. MLB Network just covered the Championship game, but I got to watch many of the games leading up to the Championship game, and let me tell you, RBI Softball is something that more people should know about. These girls were AWESOME. In the championship game, Houston played Atlanta and Atlanta ended up winning. I got to work in a 3-man booth with another familiar face, softball analyst, Cheri Kempf. Cheri has been around the game in all different ways for many years and she currently serves as the Commissioner for the NPF. We had a very good time together up in Minnesota getting to call this game together. After a whirlwind first half of the year, I was ready for a vacation. Other than softball, one of my big passions is traveling. I travel very often, and a lot of times my mom is my travel partner. I wanted to go to a place that I knew would be a once in a lifetime experience. Living in Houston, the Caribbean is a frequent vacation spot for us, and we wanted to do something that was not nearby. We got out a map and researched where all United flew to, as we both have frequent flier miles, and we wanted to try to use miles for our flight. We found Phuket, Thailand, which was also a place that my friend, Savana, had told us all about, too. Phuket is an island in Thailand with beautiful beaches and a hot travel destination, usually for Australians, because it is so close to them on that side of the world. So we booked it. All on our own we figured out our travel plans with no travel agent or anything. Thailand was AMAZING. I would recommend it to anyone. We both felt so safe. Beautiful beaches. VERY friendly people. Lots of different things to do and see. While we were there we went on a couple different island excursions by boat, rode an elephant, hung out with tigers, enjoyed the beaches and went on a helicopter ride over a chain of islands. 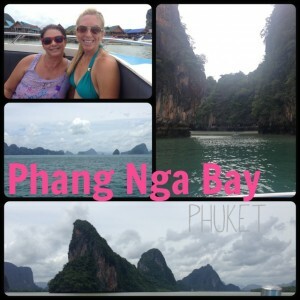 If you are considering a vacation, go to Thailand!! Such a cool place. 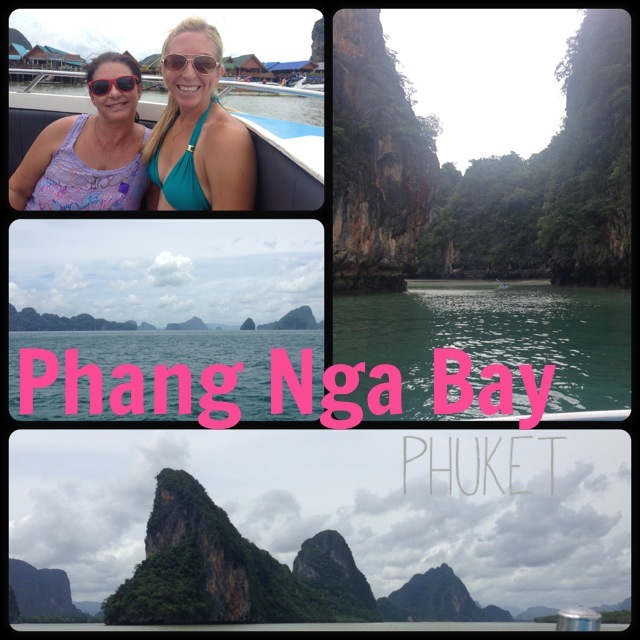 To see more pictures from my vacation to Thailand, click here. 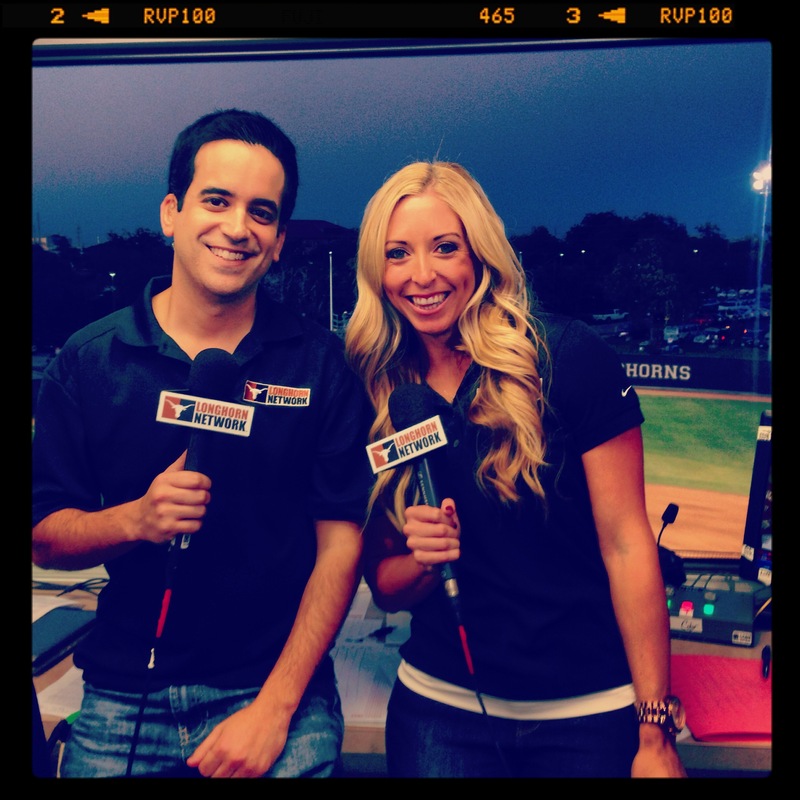 This year, along with being a college softball analyst, I wanted try to broaden and open up myself to other television opportunities like sideline reporting. So what does that mean exactly? Well, if you are ever watching football or basketball games, sometimes you will see or hear a sideline reporter covering a game and that person is down on the field or next to the court. There are the two main people in the booth who talk about the game, then there may be a reporter on the side of the field or court getting the scoop on human interest stories, injuries or any interest facts he/she may pick up while being on the side of the game. 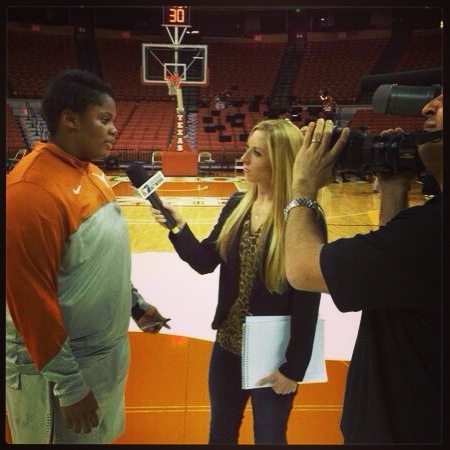 This fall I got to do sideline reporting for the first time for men’s and women’s basketball on Longhorn Network covering both the men’s and women’s teams in some games, as well as doing my first college football game: Western Kentucky vs Texas State. It’s definitely a new, learning experience to learn a new job and cover new sports! I am so thankful for these opportunities that have come my way and excited to see what the future holds. It’s hard to tell you exactly which new adventure I am most excited about from 2013, but the launch and creation of bellalete might be at the top of the list. For those who don’t know, belllaete is a new athletic apparel line that I co-founded with my best friend, Savana Lloyd. bellalete is something that has been in the world and in our mind for over a year now, and on November 26, 2013, we officially launched it online and at a couple of different camps we had in Nov/Dec. Savana and I are both very passionate about empowering female athletes to help work on their self confidence and encourage big dreaming and big believing. Along with encouraging athletes to feel more confident, we are both very passionate about athletic clothes. So we put these two passions together to create bellalete. 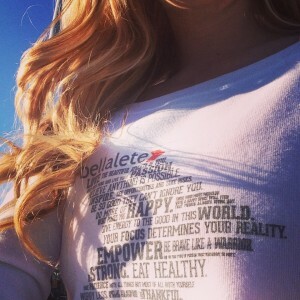 Our goal, through bellalete, is to spread a message throughout the country that confidence, happiness and strength is absolutely beautiful. Through comfortable clothing that feels amazing when it’s on your skin, to the words that are actually on the shirt, we want to help give females motivation to go out and take on the day and accomplish anything they can put their mind to. This is why we created bellalete. The weekend after Thanksgiving, I was a part of a big softball camp in the DFW area run through ASA Softball. It was by far the biggest collection of coaches and athletes I had ever been a part of. The amount of coaches that got put together for this camp was amazing. We are hoping to make this an annual camp and get together for the weekend after Thanksgiving! Pictures from DFW Softball Camp! December: A New Beginning Online With Launch of www.amanda-scarborough.com. 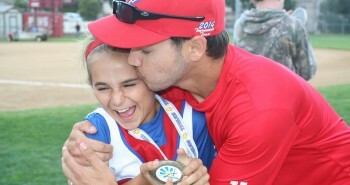 Another project and idea that had been in the works for about a year is a new website I wanted to create to be able to write blogs and connect with more softball fans, coaches, parents and players. I wanted my new site to also be a place to share my new adventures and travels. Over the past couple of years, I have really enjoyed writing and sharing different things that I have learned along the way – from being a player, to being a coach to being someone who travels and watches some of the highest level of college softball played for 4 months out of the year. I am still learning. I learn about myself. I learn about coaching. I learn how girls operate mentally. I learn about different mechanics, approaches and theories to coaching. I’m like a sponge and I never want to stop learning. Ever. So, because I like to write, and because I like to learn, I wanted to create a platform to share my knowledge and be able to help more people than just from around the Houston area. I want to hear from and share stories with people from all over! 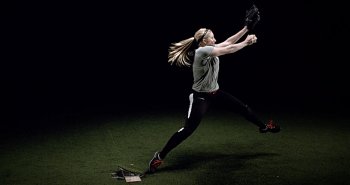 The one thing I could talk about all the time is softball, and amanda-scarborough.com allows me to get connected with people from across the country. 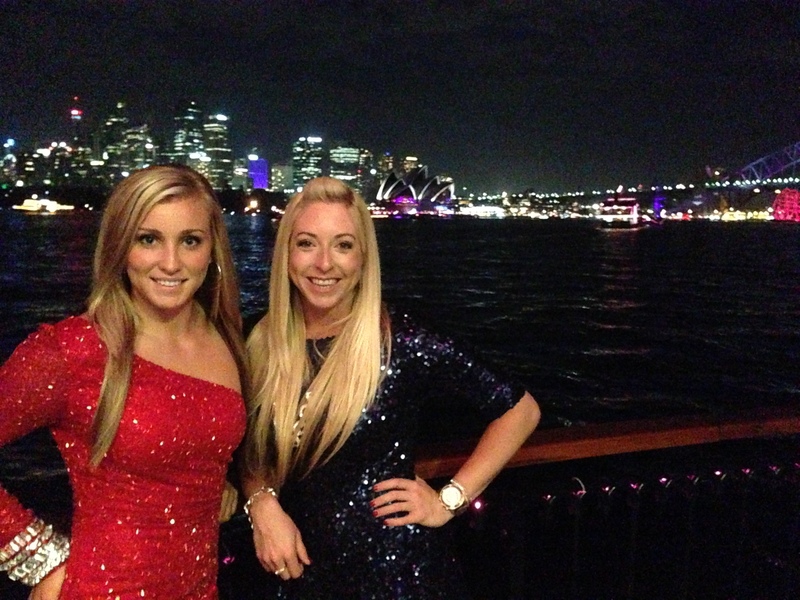 Favorite memory: Celebrating New Years in Sydney Australia. Taking a trip halfway around the world to Thailand with my mom. Awesome, way to go girl!!!! I am proud of you and the fact that you can touch the lives of so many. Just an awesome person in both presence and knowledge. 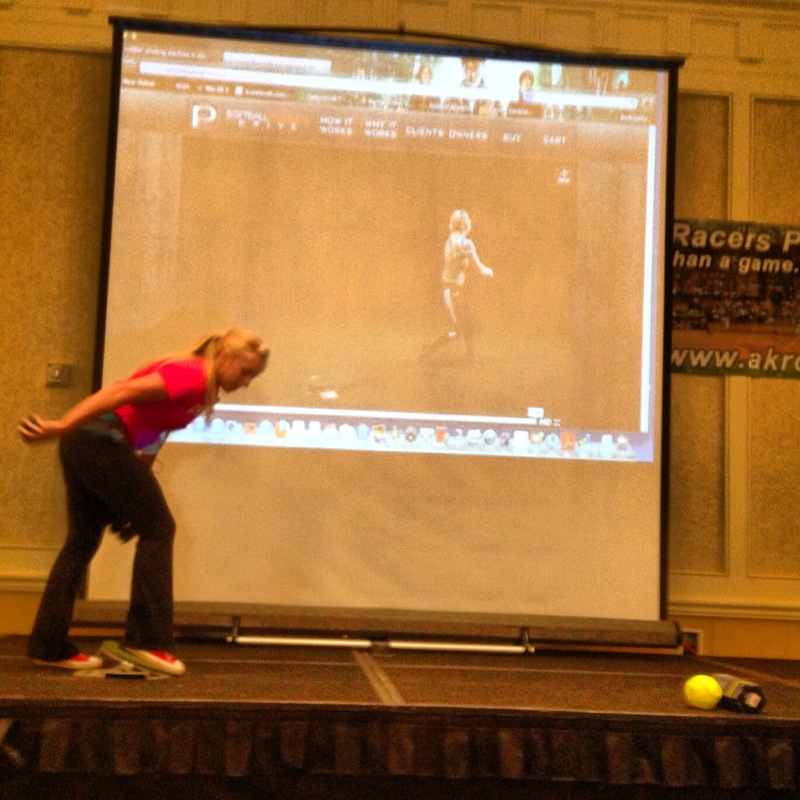 Amanda puts on one of the best pitching clinics my daughter and I have attended, in this state and others. It’s hard to wait to see what Amanda will do next. Keep up the good work and think about the lives you are touching. Wow, thank you so much, Tracy!! 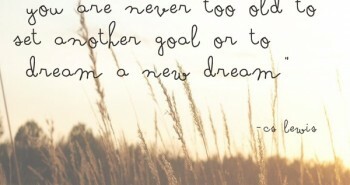 Such sweet words! I will use this as motivation, and I can’t wait to see what happens next either!